Based on the various opinions of technical staff across the clubs, and the necessary basis of research, here is a shortlist of women's division players that have been recognized for their leadership and ability on the pitch - particularly during each club's difficult late season roster rotation. 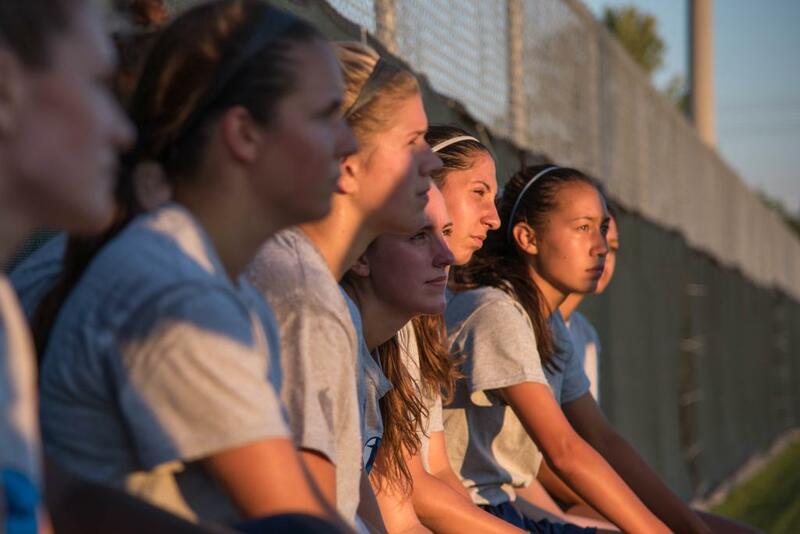 Sarah Stratigakis - Aurora is one of the few women's clubs to have suffered a great deal at the departure of players, but handled the exodus well through some astute affiliation agreements and the integration of youth prospects. Despite her young age, stalwart Sarah Stratigakis has remarkable high level experience and has been a massive presence for the York region outfit. She was key to Aurora's climb in the rankings throughout the middle and late period of the season. Stratigakis most recently won a silver medal for Canada at the CONCACAF Women’s Under-20 Championship in Honduras, and is currently competing for Canada at the FIFA Women's U17 World Cup in Jordan. Lauryn Arruda - Arruda is a naturally skillful goal-scorer, who has proven ability to find the back of the net since her youth development days, especially those with the Whitby Iroquois U14 squad. She began her ascent to League1 consistency with a start against FC London in late August, when the club fell to a devastating 8-0 scoreline. But, despite the poor result, the 15-year- old executed a performance worthy of head coach Mirco Schroff's praise: "She has the drive, and she shows that she has the athletic and soccer specific potential to become one of the leading players in this league, and at the top level." 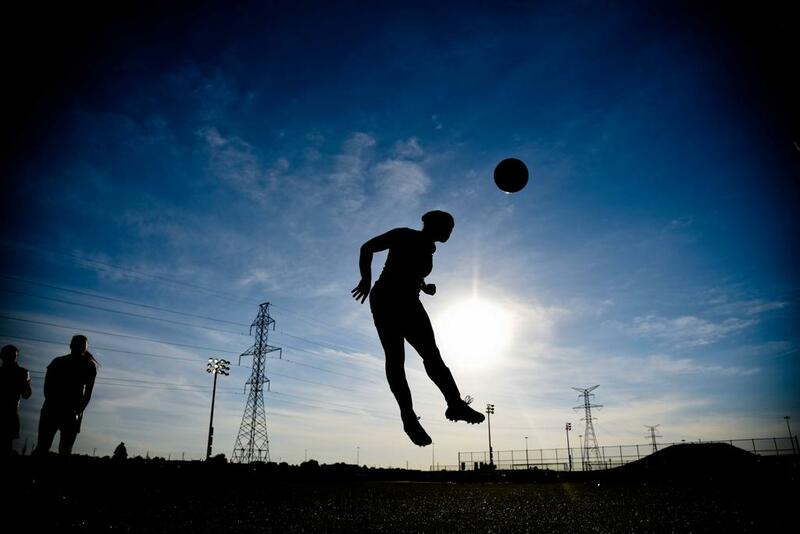 Alicia Pallister - Seventeen year-old Pallister joined Durham on July 29, right after completing her campaign with the U18 Ontario Cup champions from Darlington Soccer Club. Head coach Ron Clarke believes Pallister was been a fresh and versatile addition to the squad, excelling wherever he assigned her. Her natural positions are midfield and defense, however her flexibility in play regularly earned her a place in United's starting lineup as the season faded. Pallister has already made her post-secondary declaration, and will be off to play NCAA Division 1 soccer for Jacksonville State University in 2017. Kayla McQueen - McQueen endured an unfortunate start to her potentially explosive League1 season this year, with an injury that forced her onto the sidelines. She was a part of FC London's original selection but a serious spinal injury kept her inactive for a three months before she was able to reach her full potential with the club. Upon her return, McQueen immediately earned herself full 90 minute showcases, and made up for lost time by fulfilling the attacking role head coach Mike Marcoccia needed occupied. Mackenzie and Madison Poole - The Poole siblings reignited the Clipper's frontline after seizing their long awaiting opportunity to showcase themselves in League1. The young duo trained with the first team all season, but were rarely able to break through into the starting line up until the roster began its alteration late in the season. Both ladies saw early season action on two occasions, finally finding consecutive appearances in August with a combined 12 appearances in league play. Elisa Oliveira - Youngster Oliveira stirred up the Panthers' midfield in the latter part of the League1 season, displaying a rich sense of creativity and coveted vision on the ball. Oliveira made only two appearances for head coach Jhon Ardila's outfit, but made enough of an impact to cement her place upon this respective list of prospects. Oliveira also ventured to Europe last year at only 15 years of age to attend the Portugal Women's National U17 trials. Sona Makulova - It wasn't until late July that League1 fans began to see Makulova perform for a full 90 minutes, but for the coaching staff at Sanjaxx, the 20 year-old has been the undisputed leader of the women's team, and rightfully wears the captain's armband. 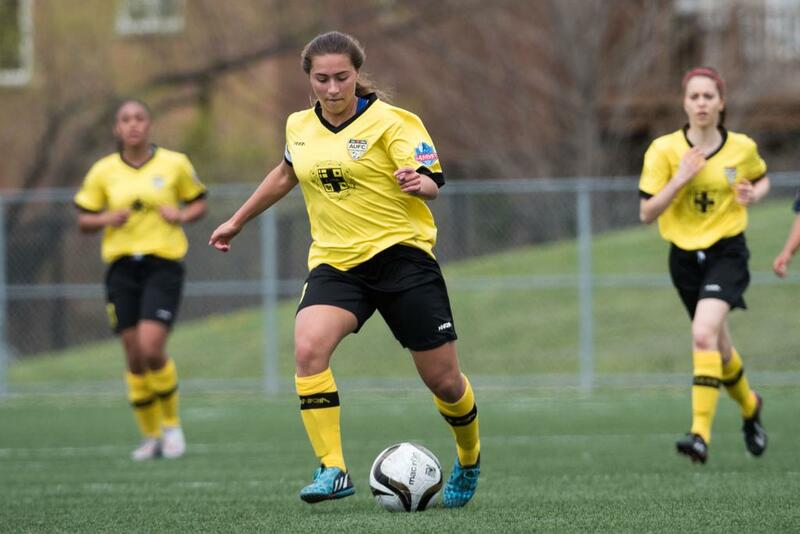 She is entering her first year at Centennial College where she will taste the competitive nature of CCAA soccer. 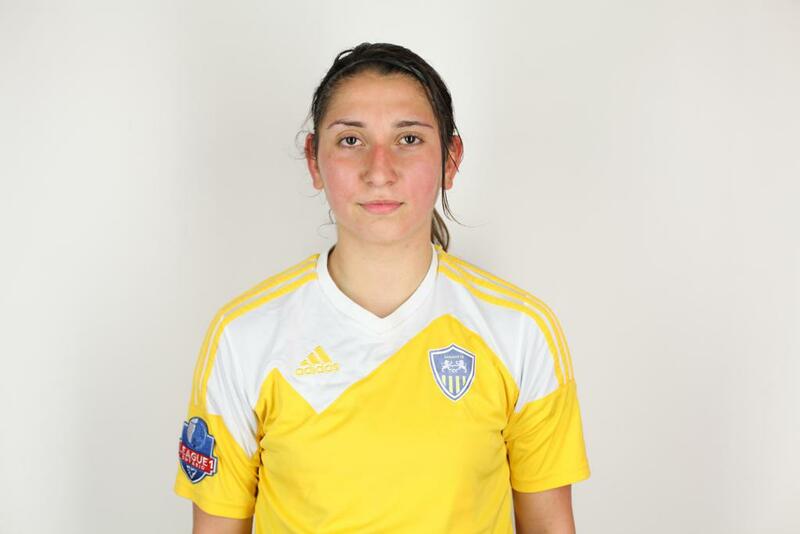 Makulova also represented the Lions on the League1 Ontario Women’s All-Star roster in August. Colleen Beesley - Although Beesley's League 1 appearances for the Azzuri have been stretched out for a bulk of the season, it hasn't been until the latter part that she has seen a full 90 minutes. Following the loss of integral players in head coach Carmine Isacco's attacking front three, Beesley effortlessly filled that void. The forward finished the season with the second highest minutes played (807 in 14 appearances), and joint-top scorer with six goals on the season. 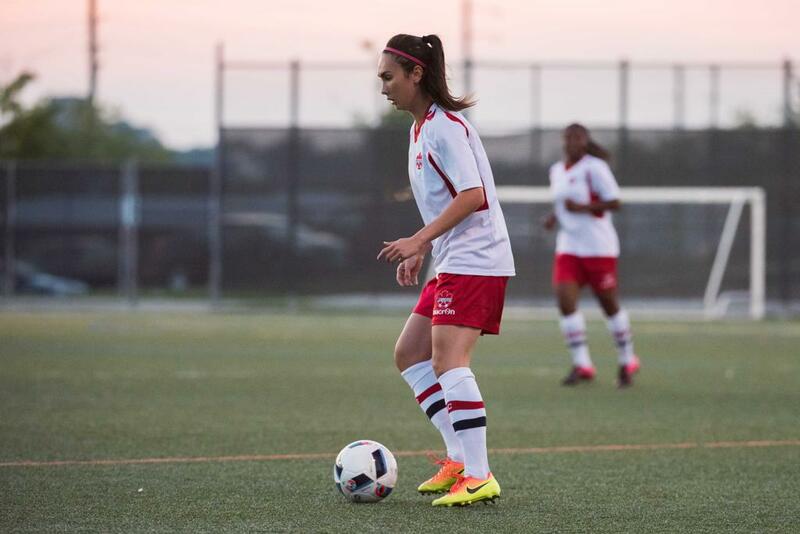 She is an alumni of York University, where she finished her senior term with 14 appearances and ten goals. Malikae Dayes - Dayes is an able young player who made a place for herself in the Strikers backline with strength and poise belying her 17 years-of-age. Due to a plague of injuries, and the departure of some of club's 1998 defensive options, Dayes got her shot and went on to "neutralize all the top scorers" according to head coach, Joe Parolini. She is considered a technically sound player, with exceptional dribbling ability, great one-on-one proficiency, and is also flexible to play anywhere across the back-line or as a winger. Parolini believes Dayes is "one of the top '99s in the country and should be considered for the Women’s National Team."